This Writing Practice Workbook to Einfach gut Alpha! Deutsch für die Integration provides teachers and learners with a variety of additional practice materials that can be completed in the classroom or assigned as homework. It gives especially those learners needing further assistance more practice. 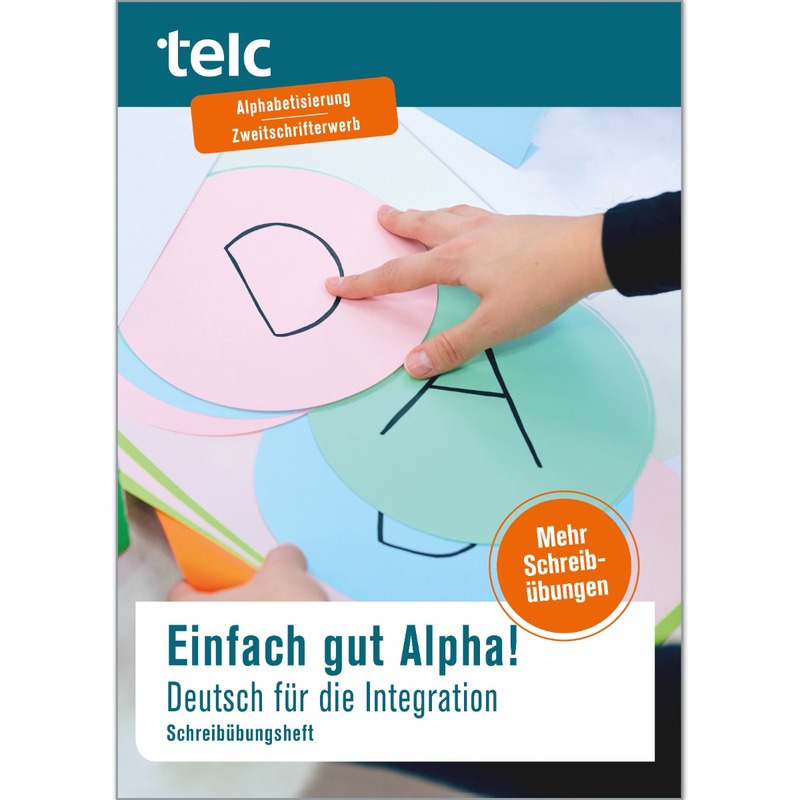 The Writing Practice Workbook perfectly complements classrooms using Einfach gut Alpha! Deutsch für die Integration. The Workbook explicitly follows the coursework and structure found in Einfach gut Alpha!, thereby providing effective additional practice material for each coursebook unit. Learners are guided gradually through the stages of learning how to write – from producing letters of the alphabet to forming simple sentences. Through a first set of handwriting exercises, learners master writing curves and other patterns before moving on to practicing shapes similar to the Latin letter system. Upon completion of the final exercise set, students are able to produce the letters of the alphabet. In addition, there are enough sentence copying exercises within the Writing Practice Booklet to help learners progress from writing single letters to producing full sentences. More advanced learners in mixed ability classrooms will find the gap fill and visually supported sentence ordering exercises sufficiently challenging. Importantly, all writing exercises are embedded within a communicative situation.